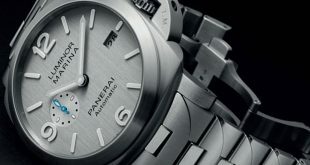 Officine Panerai has just come out with a post SIHH release that is sure to please a lot of Panerai enthusiast. The PAM716 Mare Nostrum limited to 1,000 pieces worldwide has just been announced in it’s new 42mm steel case. 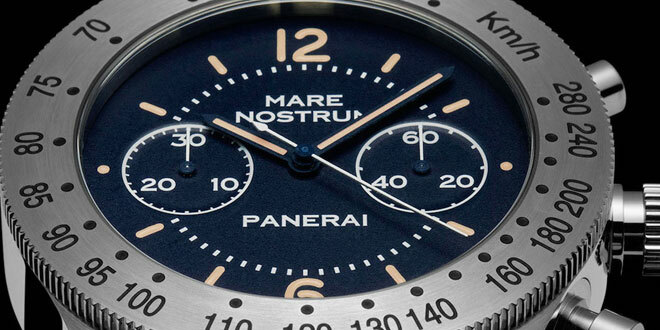 Looking like no other Panerai in the family, the Mare Nostrum was the first chronograph model that was created by Panerai for the Italian Royal Navy. 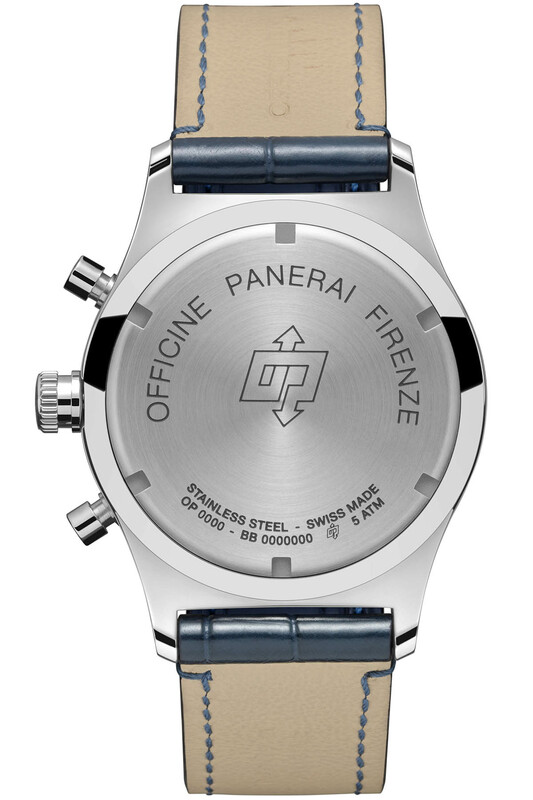 With only limited specifications of the prototype after the flood in Florence in 1966, Officine Panerai released the 5218-301/A in 1993 but featured a massive 52mm case. 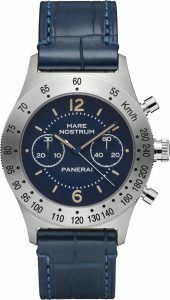 After the discovery of the actual prototype a few years back they were able to release the PAM603 which is the Titanium version of the Mare Nostrum. 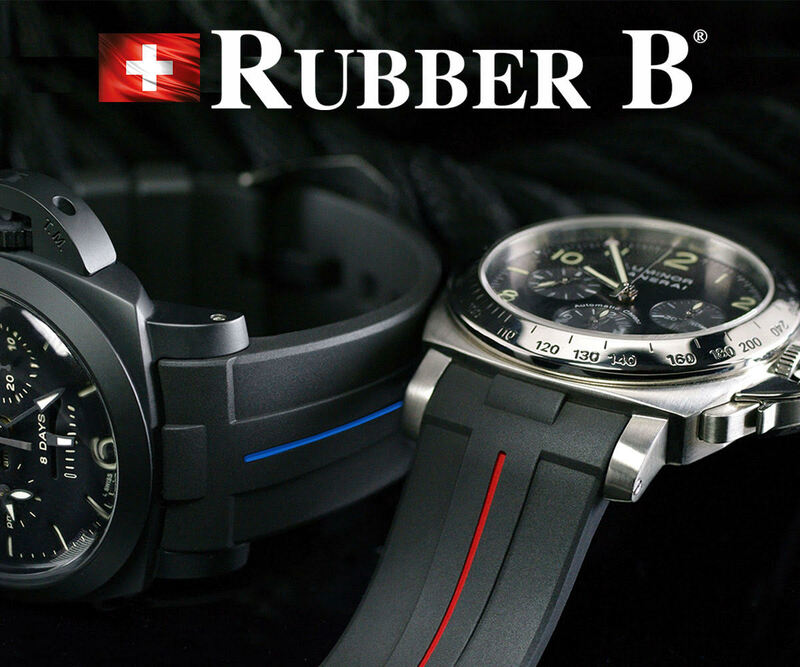 Once again this model was definitely more of a collectors piece than a wearable one becuase of it’s daunting case size. 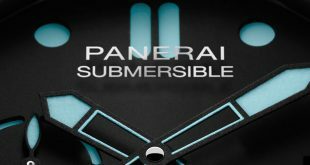 There have been a lot of clamor about a smaller Mare Nostrum by the Panerai community and it is finally here with a few minor changes from it’s larger predecessor from 1993. The new PAM716 Mare Nostrum features a 42mm steel case with a flat brushed finished bezel engraved with the tachometer scale. The chronograph of the PAM716 is controlled by two push buttons in a traditional style. 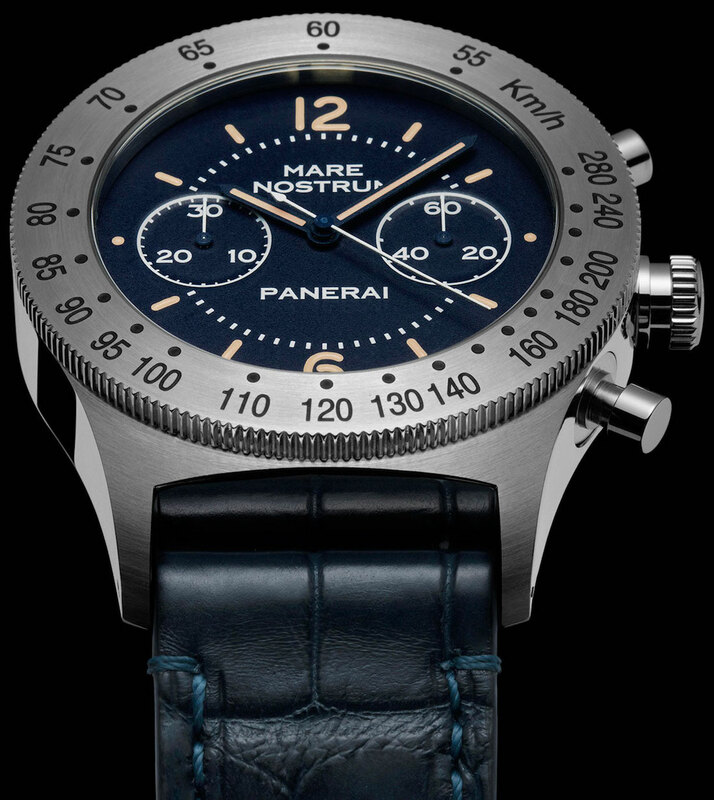 You can set the time on the watch with the screw down crown which has the inscription “Mare Nostrum” on the flat side. 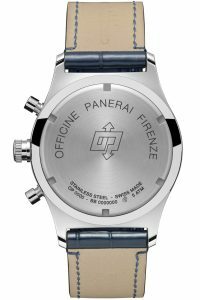 The case back on the Mare Nostrum is a screw down and personalized with the inscription, “Officine Panerai Firenze” and the logo was well. 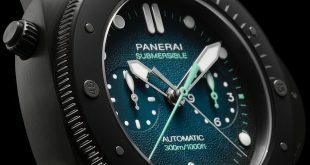 The PAM716 features a water resistance rating of 5 bars or about 50 meters which is definitely on the low side compared to the rest of the diving watches that they have in their lineups. Behind the screw down case back, the new Mare Nostrum (PAM00716) uses the same movement as the pre-Vendome 5218-301/A, which was the OP XXXIII Calibre. This movement was created and personalized by Panerai on the ETA 2801-2 core and Dubois-Dépraz chronograph module featuring a 42 hour power reserve. 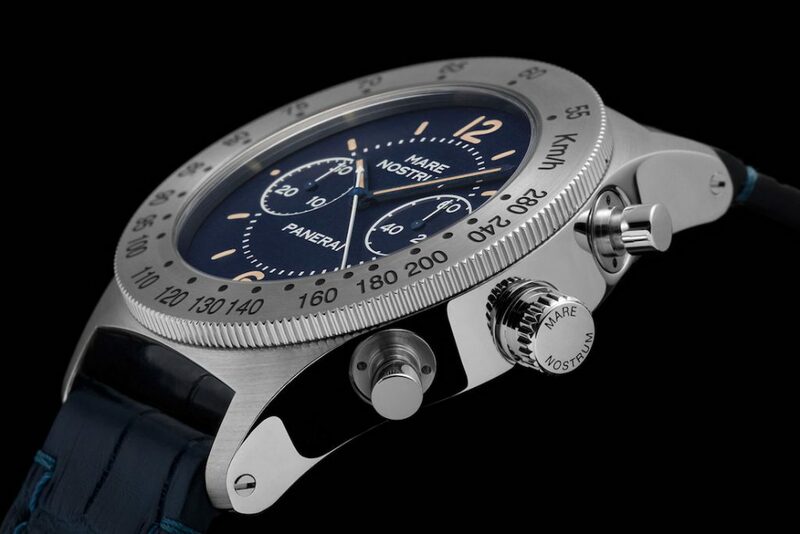 The dial of the new Mare Nostrum Acciaio (Steel) is a deep blue color like the 1993 model and features a small sub seconds dial at the 3 o’clock position while the chronograph minutes sub dial is at the 9 o’clock position. 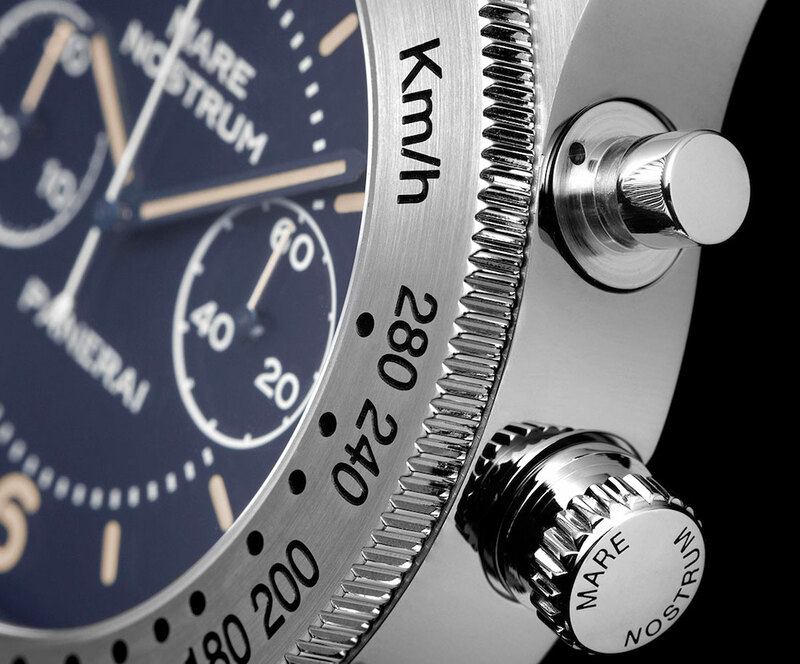 The watch features a white central seconds hand for the chronograph function. 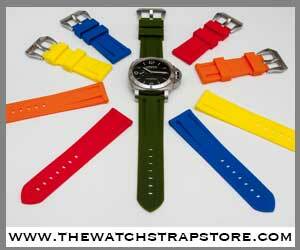 The numbers and indexes are done in a faux lume color accented with white markers points and sub dial numbers. 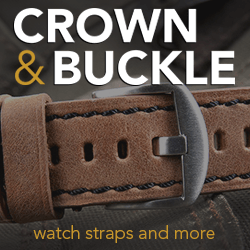 The watch is finished nicely with a matching deep blue alligator strap with matching stitching and sewed in buckle. The PAM716 Mare Nostrum special edition comes with a surprise for it’s owners and collectors which dates back to the vintage model. As with the pre-vendome model, inside the wooden box is a model of the Luigi Durand De La Penne, the destroyer of the Italian Navy which was launched in 1993. This destroyer was named after Admiral Durand De La Penne, who in 1941 took part in the celebrated attacks in the port of Alexandria, Egypt. 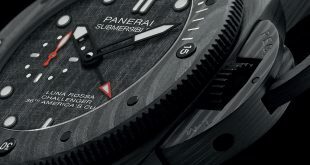 During these missions he and other commandos were equipped with Panerai instruments. It was actually on this destroyer in 1993 that Panerai announced and presented the Mare Nostrum for the first time. Also inside the box is a screwdriver and second leather strap that you can change the watch into. MOVEMENT: Hand-wound mechanical, exclusive Panerai OP XXXIII calibre. FUNCTIONS: Hours, minutes, small seconds, chronograph. CASE: 42 mm, brushed steel. DIAL: Blue with luminous markers and Arabic numerals. Minute counter at 9 o’clock, seconds at 3 o’clock, central chronograph seconds hand. POWER RESERVE: 42H. WATER-RESISTANCE 5 bar (~50 metres).